CONWAY, SC (WMBF) – A second Starbucks location is coming to the city of Conway. 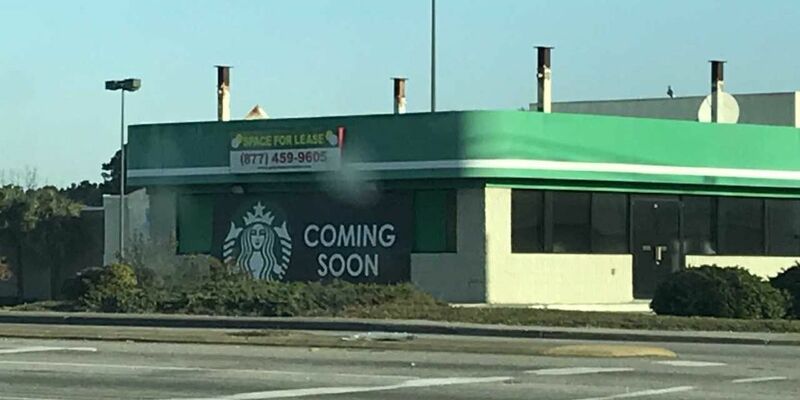 A Starbucks “coming soon” sign can be seen draped over a former gas station on U.S. 501, near a shopping center that houses a Belk and other stores. Over one year in the making. Happy to announce the arrival of Starbucks on Hwy 501 and 16th Avenue. More announcements coming soon!! The post didn’t specify when it would be opening. WMBF News has left a message with Starbucks’ corporate office for more information. A Starbucks location is currently located at Coastal Carolina University, at 119 Chanticleer Drive East.